Located in the Borough of Bromley, Orpington is a town in Greater London. With a population of around 15,000 and fabulous access to the English capital, there’s a strong property market in the area. At My Home Move Conveyancing we’ve been developing our knowledge of local markets like Orpington’s since 2001, allowing us to bring a specialist, fixed fee conveyancing service to our clients in the town. If you want to buy or sell property in Orpington, you’ll have to instruct property lawyers to carry out the legal work on your behalf. 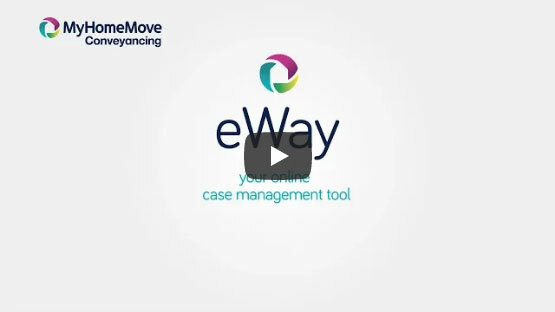 By choosing My Home Move Conveyancing as your Orpington conveyancers, you can make the most of our award winning customer service, intuitive use of technology and expertise in the local market. Our innovative, professional conveyancing service comes for a fixed fee, so you know exactly what you’re paying right from the start. What’s more, thanks to our ‘no completion – no fee’ policy, if for some reason you don’t end up completing, you won’t have to pay us a thing. We assign a dedicated conveyancer to all of our clients, who’ll look after your case from start to finish, and provide you with regular updates on your progress. At My Home Move Conveyancing, we bring a positive approach to everything we do, and we get things right first time round. We provide our conveyancing services in Orpington to homebuyers across the area, whether you’re looking to be close to the town centre, near the train station or in a neighbourhood such as Goddington or Petts Wood. The average house price in Bromley is £436,204, while the overall average sale price in Orpington over the past year was higher than this at £472,504. The majority of sales involved semi-detached properties, which went for an average of £453,850, while terraces fetched £353,604 and detached houses sold for £735,902. With archaelogical evidence in the local area dating back to the Stone, Bronze and Iron Age, the region that Orpington is in has long been settled. The Romans also occupied the area, with remnants of this part of the town’s past including Crofton Roman Villa and Fordcroft’s bath house. Orpington’s name first appears in the mid-11th century, and the town was part of Kent until 1965 when Greater London was created. It’s the close proximity to the English capital which makes Orpington such a popular place to live, and the town’s train station offers direct services to central stations such as London Victoria, Charing Cross, Blackfriars and Cannon Street. The M25 ring road passes not far to the east, while Gatwick Airport is around 25 miles away by car, which is great for when you want to go on holiday. The great selection of schools is another of the area’s draws, with local primary options including Perry Hall Primary, Farnborough Primary and Warren Road Primary. The Priory School and Darrick Wood School are comprehensive secondaries which both have Sports College status, while Newstead Wood is a selective girls’ secondary and St Olave’s and St Saviour’s Grammar is a selective school for boys. All properties in Orpington will fall within one of the following council tax bands.